We have an extensive online archive consisting of hundreds of documents and photographs. Some of these are more than 100 years old. You can view old catalogues, price lists, family photos, workshop photos, technical information, old patents, trade fairs and more. The archive is completely free to visit and use and you are not asked to register or give any personal information. 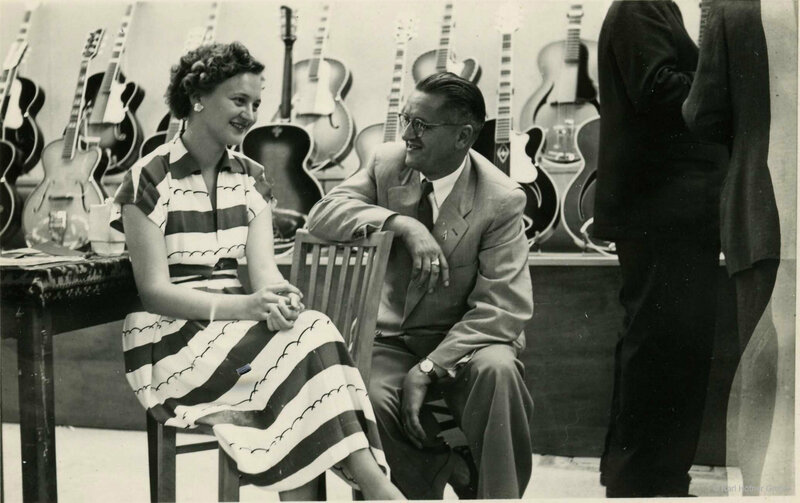 Gerhilde Höfner with her father Walter Höfner at the Frankfurt Musikmesse in 1953.